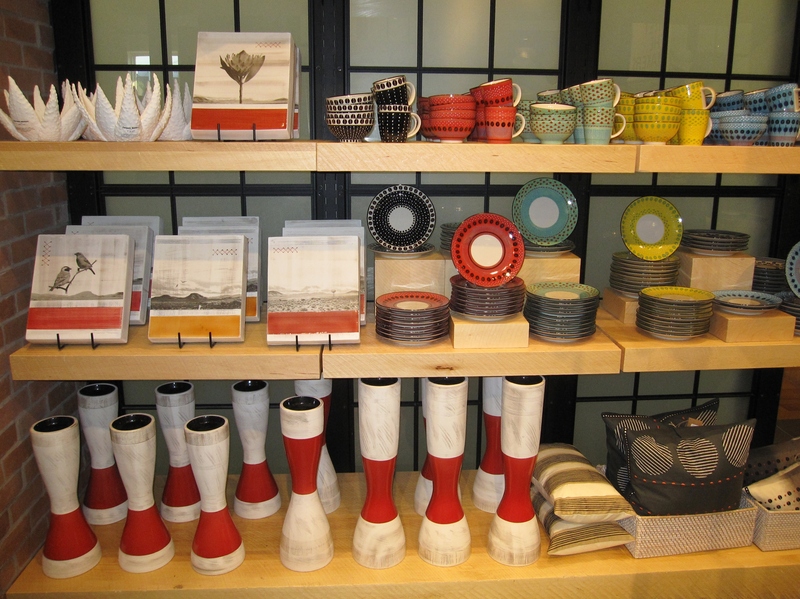 Last night I attended iYellow Wine Club Presents+Design Series by Crush VQA Wines at West Elm. Beautiful food was provided by Mildred’s Temple. 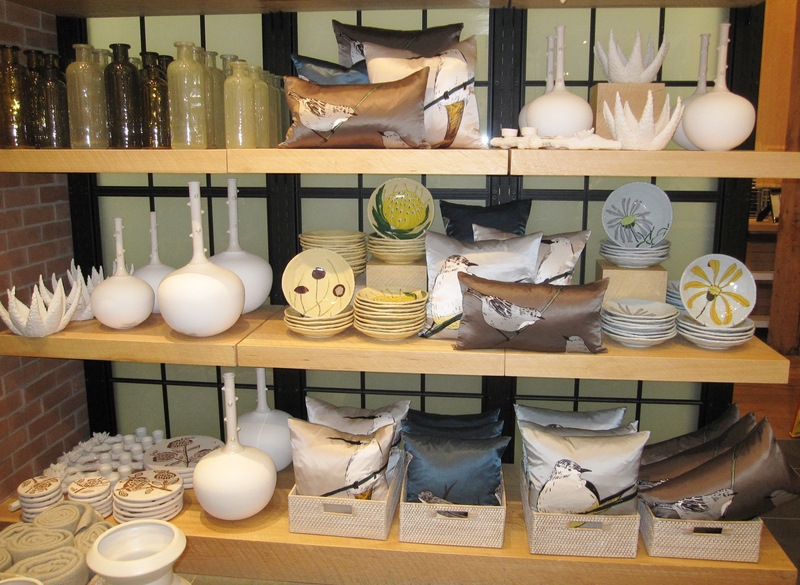 I sipped, noshed and strolled through West Elm – fabulous way to shop! Believing that great design should be affordable, West Elm’s furniture collection helps create living spaces that are stylish and unique. And while searching for inspiration in far-away places, West Elm offers accessories that have an artisanal and organic flair to them. Since I am in the middle of a cottage reno my focus was on ‘cottage style’. It was interesting to see how West Elm’s style could be interpreted to a lakeside, seaside, weekend space. 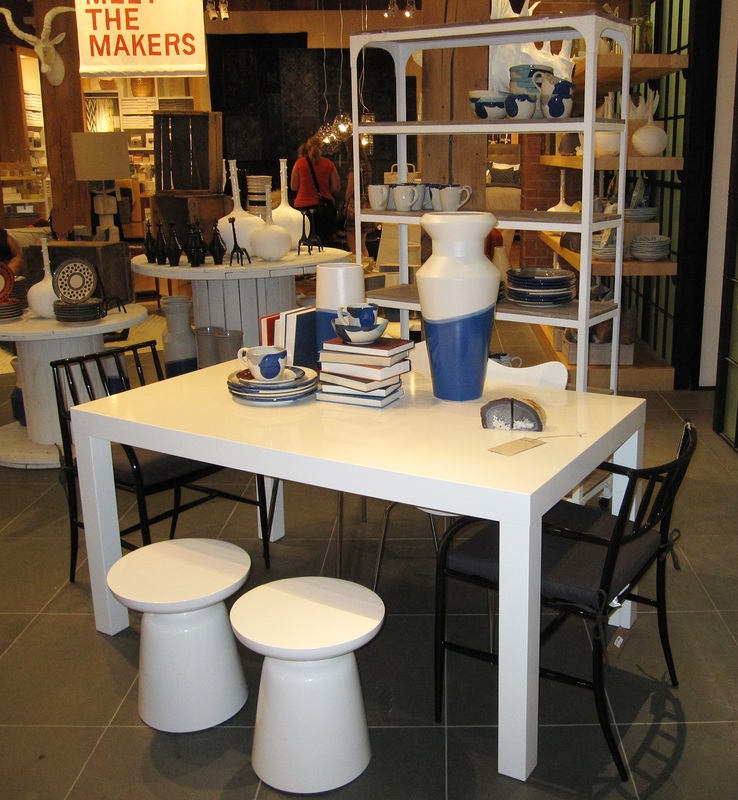 I thought this collection provided a contemporary spin on a nautical blue & white theme. 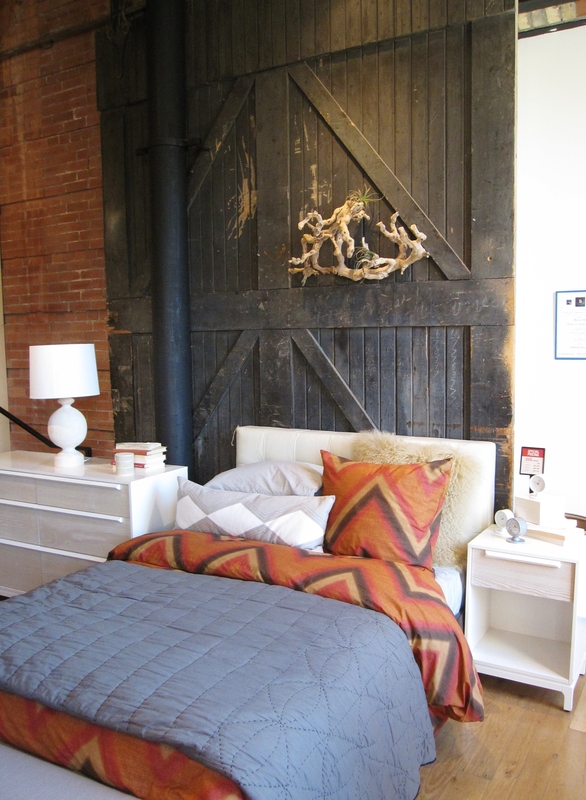 I loved this bedroom setting with the mix of barn board and contemporary furniture pieces with bedding in white, blue and cinnamon. 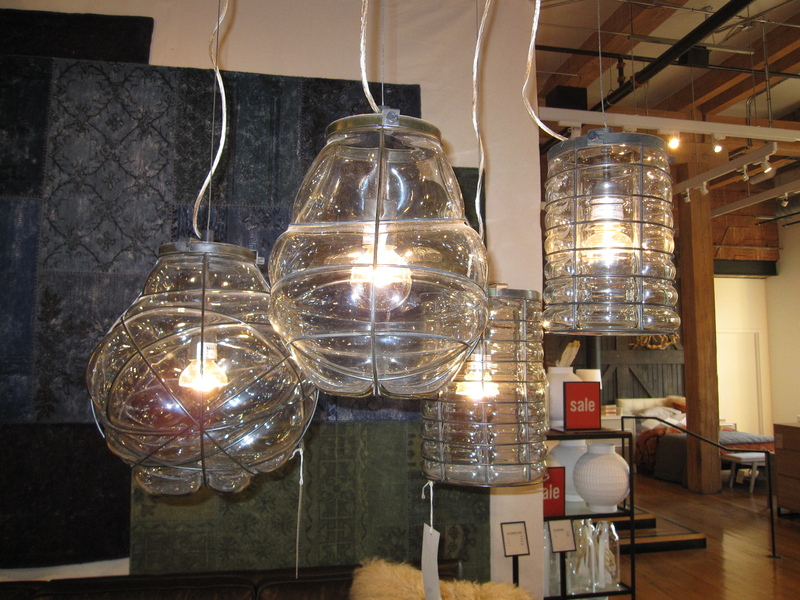 The organic blown glass pendant lights give an artisanal feel to any space. White and muted pottery gives a relaxed vibe to a weekend space. Red and white vases that have a resemblance to boat buoys and colourful pottery give an air of coastal charm. Of course I found something that would be perfect in my cottage space so this weekend I shall add a little West Elm style to my lakeside retreat. This entry was posted in Colour, Design, Home, Style and tagged Art, Celebration, color, colour, DECOR, Design, Design Event, furniture, HOME, Inspiration, Renovation, style, Weekend Space by Modmissy. Bookmark the permalink. Loving those white stool and table, lights along with the cute little bird pillows…! I love the Martini Side Table too. Anything that is high gloss white I am smitten.